Brown rock salt in a handy 20kg pack. Effectivly defrosts ice and snow bound paths and driveways. White rock salt effectivly defrosts ice and snow leaving little or no residue when compared with brown rock salt. A useful and important part of your motoring equipment this winter. This is an ideal shovel to carry in your car or van in case of surprise emergencies. Lightweight but extremely effective for clearing snow or ice if you should find yourself caught out by the kind of bad weather that can set in unexpectedly during the winter, bringing chaos to roads and pavements. 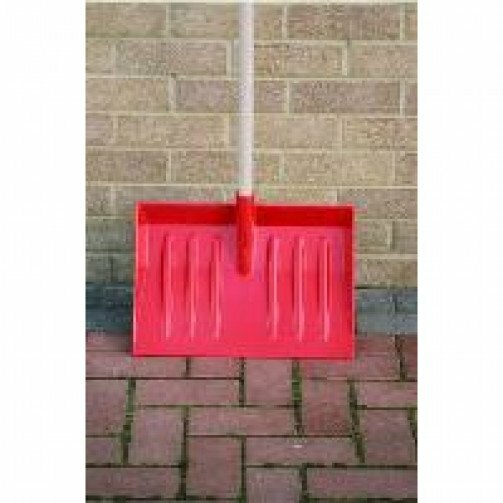 Strong and durable general purpose shovel designed to move large quantities of loose bulk materials quickly and easily. Ideal to keep in a car or van for use as an emergency snow shovel. Non stick rust and rot proof polypropylene. Orange pan with black handle.